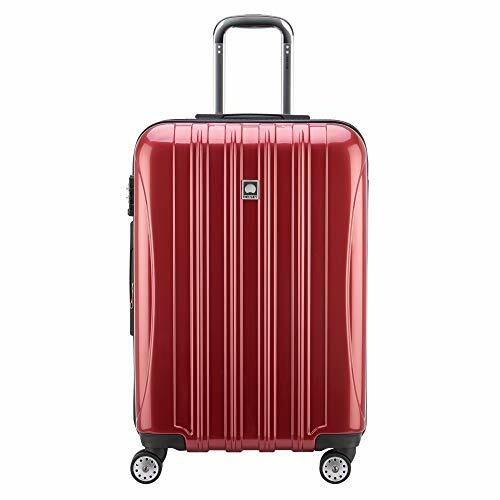 Delsey Helium Aero Review checked luggage suitcase, offering double spinner wheels, dual compartments and only weighing 10.2 pounds, making this checked luggage a favorite among vacationers and professional explorers alike. Given the sheer volume of brands in the game today, a quality piece of checked luggage is hard to find. Go with a checked luggage suitcase from a subpar manufacturer and you will soon find no amount of cash saved is worth the torn seams, low capacity, and general inconvenience. 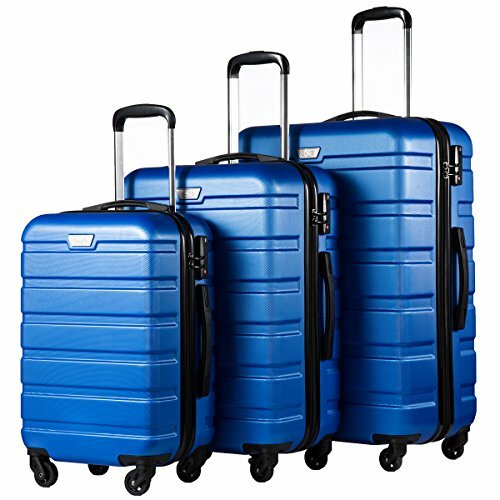 If you want a checked luggage suitcase you can be certain will safely get your belongings from your point of departure to your destination, you’re going to have to resign yourself to spending a little extra for a model produced by a reputable brand. Is this case deserving of accompanying you on your next adventure? 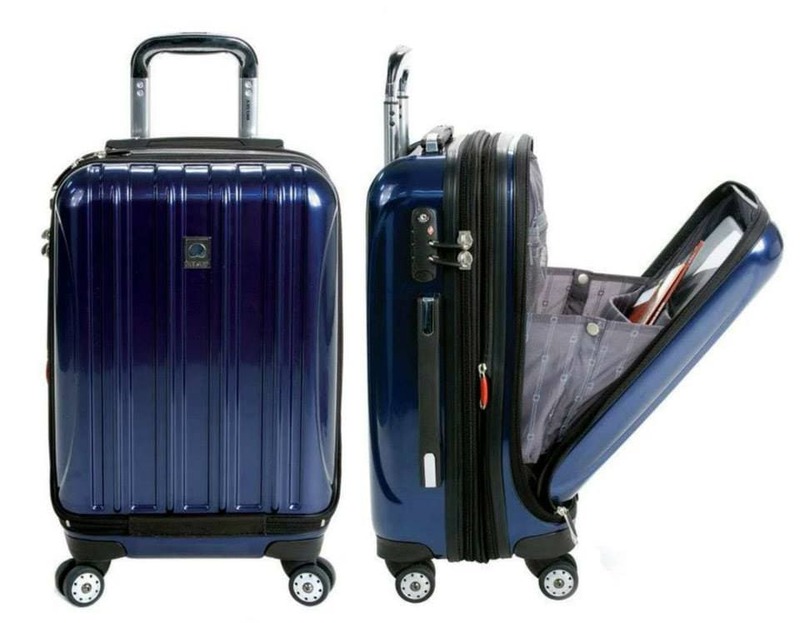 Many hard-side checked luggage suitcases use a combination of plastics in an attempt to cut costs, which, while understandable in a way, often leaves the exterior at risk of cracks and breaks. In manufacturing the shell of the Helium Aero, however, Delsey used only polycarbonate. Thanks to this 100% polycarbonate construction, the Delsey Helium Aero is resistant to the knocks and shocks which commonly accompany a bumpy flight, so you won’t have to worry about your case or its contents being damaged during turbulence. 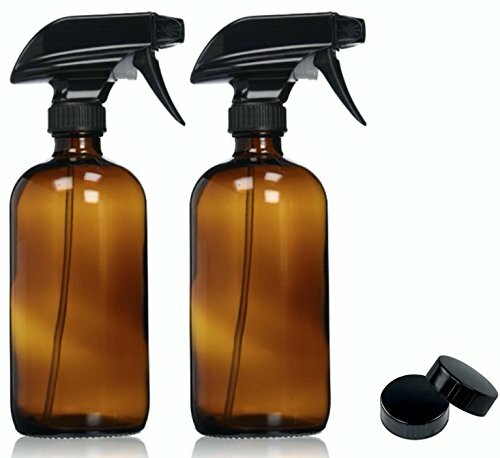 An advantage of polycarbonate that is not often spoken of is its versatility when it comes to style. Polycarbonate offers more colors and patterns than many more rigid plastics, which is why the Delsey Helium Aero is available in a total of ten color options. Pushing your way through the crowds of an airport is difficult enough without having to worry about your suitcase veering to the side or colliding with the luggage of other passengers. That’s why Delsey equipped the Helium Aero with four spinner wheels. These wheels are capable of moving in any direction, which makes for a level of maneuverability which is not always seen in less expensive alternatives. The manufacturer also fitted this case with an ergonomic comfort grip handle. This handle, combined with the aforementioned double spinner wheels, makes it possible to drag the case behind you or push it in front of you with minimal effort and zero strain or discomfort. The Delsey Helium Aero features a 50/50 split opening and two distinct compartments, making for more organized packing and allowing the traveler to conveniently separate their clothes from their other belongings. 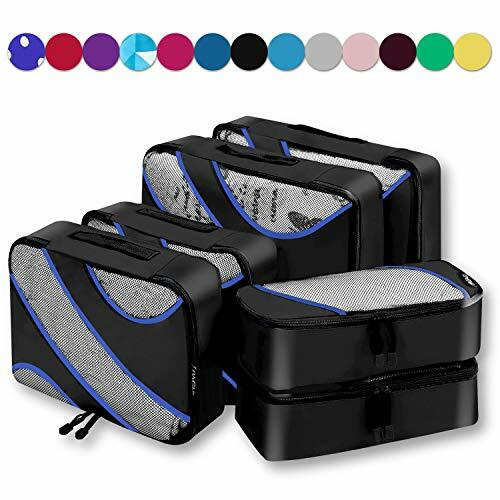 To further this convenience, each compartment comes fully lined and equipped with a number of smaller pockets for toothbrushes, jewelry, and souvenirs. 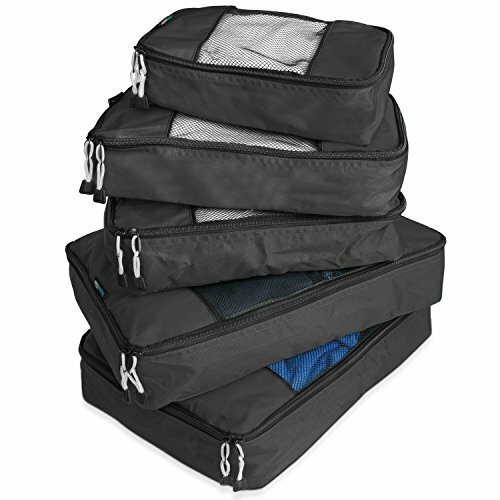 Clothes are held in place by a system of web straps while a zippered divider minimizes the risk of wrinkles and ensures they are protected in the event of spills. 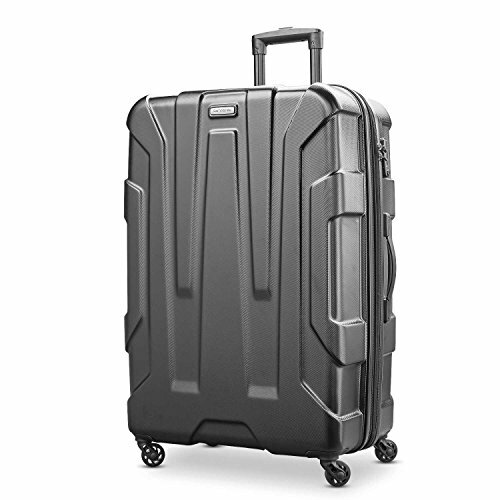 To further enhance the capacity of the case, Delsey equipped the Helium Aero with an expandable main compartment. The main compartment can be extended by a full two inches with ease, giving you more room to store any gifts or knick-knacks you pick up while on vacation. 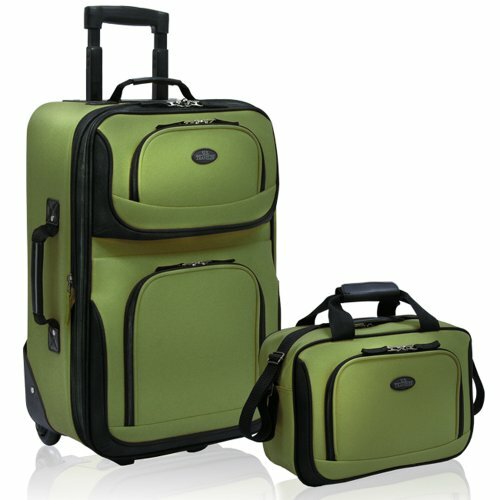 It can be argued a checked luggage suitcase is only as good as its locking system. 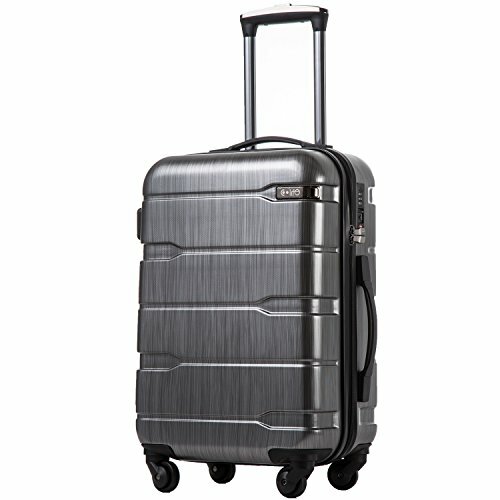 Delsey understands this, which is why it fitted the Helium Aero with a sturdy three-dial lock for heightened security. This lock is TSA-accepted, which means it is in line with national security standards and the only people who can access it without the necessary code are TSA agents assigned to inspect its contents. 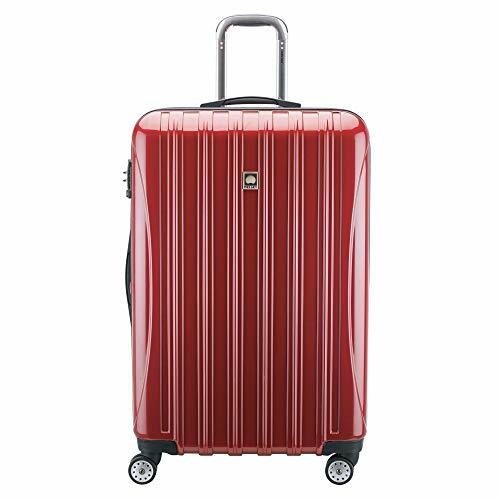 It should be pointed out here Delsey offers this checked luggage as both a hard-side and a soft-side, but only the former features the three-dial locking system. Those who purchase the soft-side model of this case should also purchase a separate lock in order to ensure their bag remains accessible only to them and designated government agents throughout their travels. 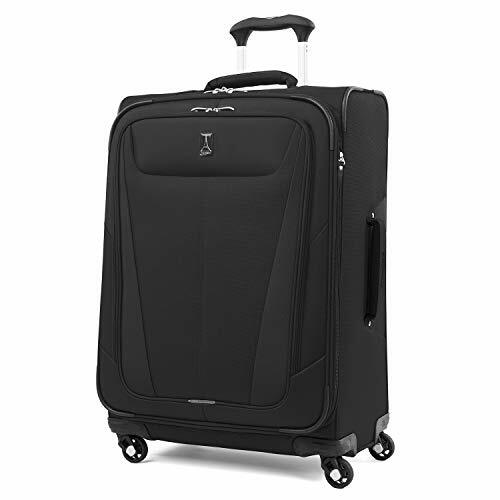 As we mentioned at the beginning of this review, the Delsey Helium Aero features polycarbonate construction as opposed to aluminum construction, which is commonly used in high-end checked luggage suitcases. One of the major advantages of using polycarbonate over aluminum is its weight, or lack thereof. Polycarbonate is significantly lighter than aluminum, which is accountable for the Helium Aero’s lightweight design. 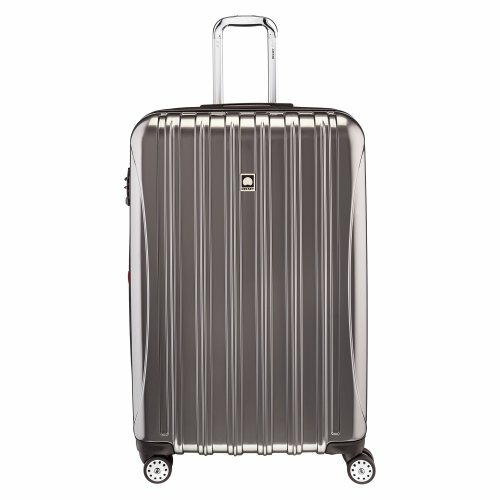 Weighing in at just 10.2 pounds when empty – and with a shipping weight of 15.4 pounds – the Delsey Helium Aero can be lifted into overhead compartments with ease. 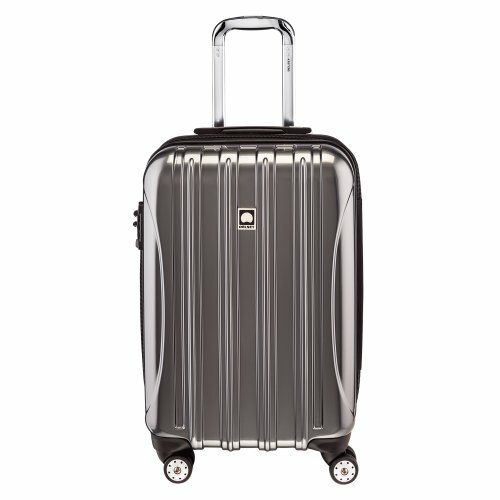 The Delsey Helium Aero is a decidedly premium checked luggage suitcase, although it’s not exactly reflected in its price. 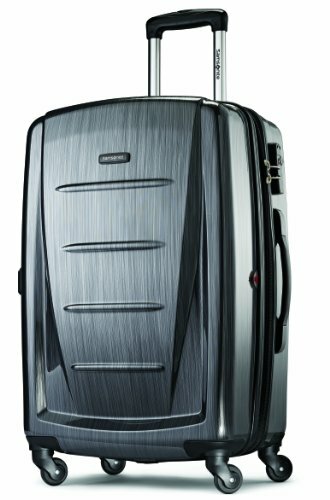 Generally speaking, a checked luggage option with as many practical and unique features as the Helium Aero that was produced by a brand with as great a record as Delsey will set you back upwards of $200. This case, however, typically sells for just a little north of $100. 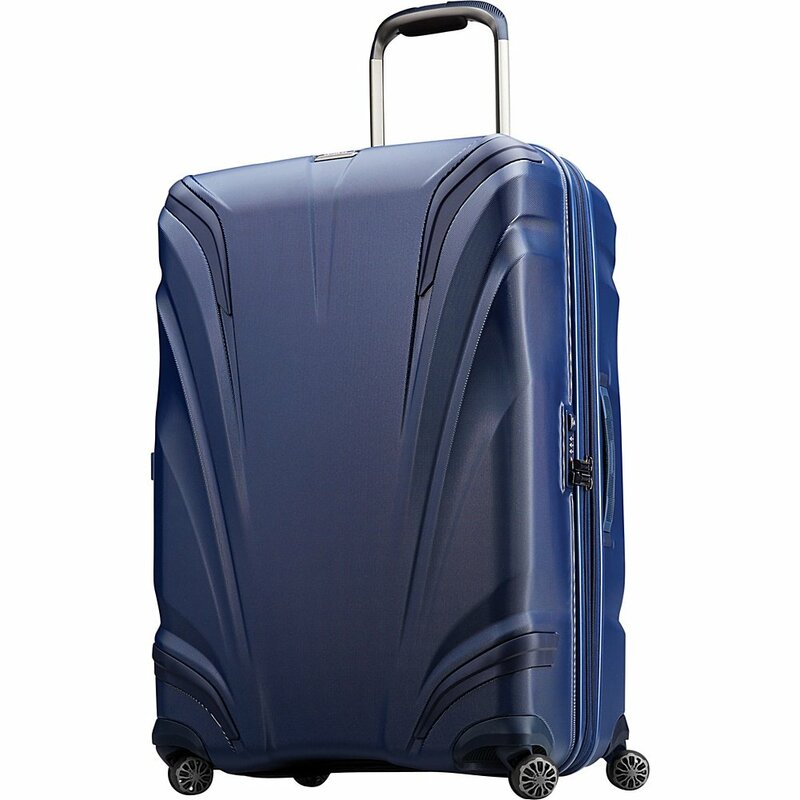 We know that’s still a little bit more than the average traveler would like to pay in their search for a checked luggage suitcase, but the durability of this case all but guarantees it will continue to perform as expected long after the average less-expensive model has been tossed aside. 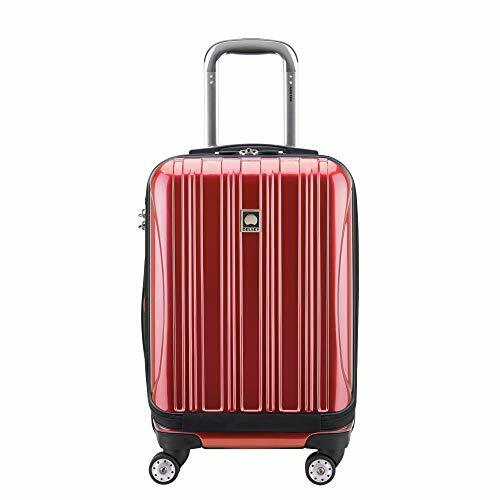 With its lightweight design, four spinner wheels, dual compartments, and integrated TSA-approved lock, the Delsey Helium Aero makes it possible for the casual holidaymaker to avail of many features which were once reserved almost exclusively for frequent fliers and road dogs.